Become a fantastic wizard master! Your mission is to clear away the dark clouds, the clouds will disappear when you collect all the magic energy. Your ball will be helping you throughout the journey and will be your own weapon against evil. 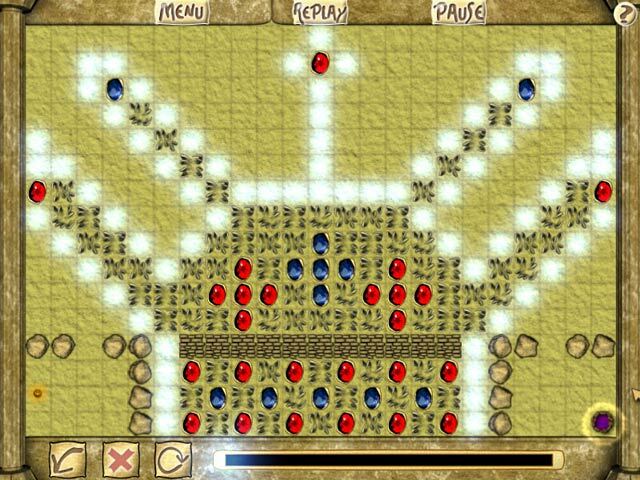 Your aim is to place reflectors on the ball's path to make the ball collect all the magic energy in Bounce Quest, a fast-paced and exciting Action/Arcade game. 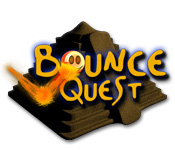 Bounce Quest is rated 2.0 out of 5 by 1. Rated 2 out of 5 by mrm2006 from Well...THIS turned out to be disappointing. What a cute game. One I thought I'D never be able to "get" in a million years. This is one of those games where you have to place a "refractor", a diagonal piece, to set a ball in motion to go in the direction you need it to go in order to collect a line of "lit" energy cells. Sort of like those "set this mirror so the light reflects off the next mirror which you then have to set to reflect it off another mirror". Get it? The first level is a "freebie" in that it is a tutorial - and a very good one - just "watch the ball and learn". Perfectamundo! I "got" it. Then, with each of the few successive levels, my little "flower helper" (pick your own at the beginning) was right there to lead me on a bit. Soon, I was sailing on my way and getting those energy lights all by my lonesome - albeit having to replay a few levels but that was a-okay. I was "getting" it! A major deal for me. Until the "bonus" level, which, in BIG WHITE LETTERS told me how EASY the level was. 30 minutes later, I still couldn't get it right, had restarted the level over multiple times and finally, just sat there at my computer, having my ball stuck inside a quadrangle that it couldn't get out, waiting for the bar across the bottom to fill up. I assumed that meant game over or I could finally "skip" or something. Over 30 minutes I waited for that bar to ever-so-s l o w l y fill up. Don't know what would have happened because the demo timed out. This would have been a GREAT game if not for the following: 1. Where's the "skip" button for the bonus round? 2. 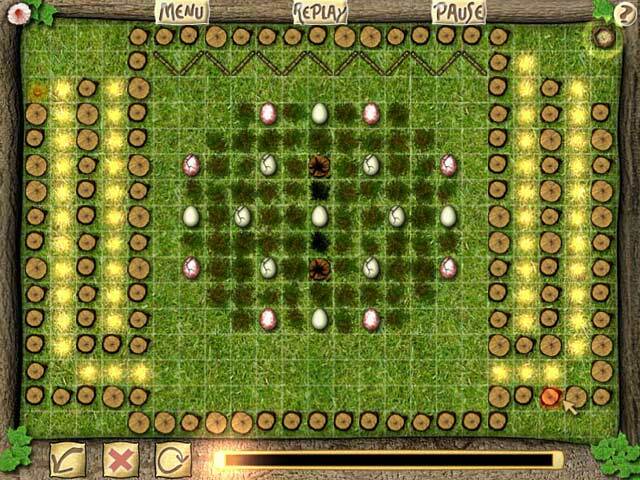 You shouldn't HAVE to play the bonus round and it shouldn't be harder than what you've just learned how to do. 3. The bar at the bottom of the screen in the bonus round shouldn't take over 30 minutes to fill up. 4. 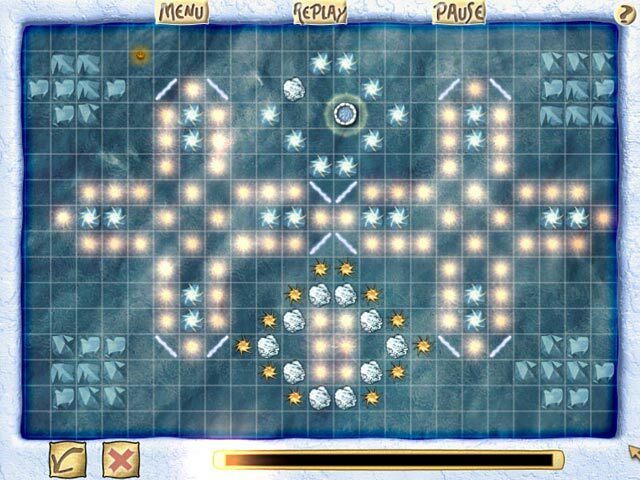 Once you place your little diagonal line in the square, rather than having to replay the level from the beginning, there should be a way to click on that line and "right-click" to change it's position at least until AFTER the first bonus level (it can only go 2 ways anyway). If NOT for the bonus level experience, I think I might have purchased this game. Now? Nope. Become a wizard master! Your mission is to clear away the dark clouds, the clouds will disappear when you collect all magic energy!